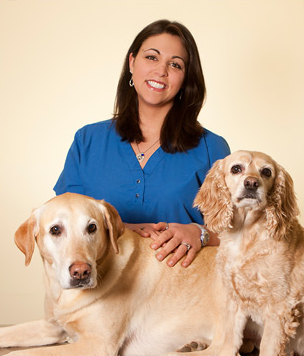 Gina began working at Corfu Veterinary Clinic after earning her Associate's Degree in May of 2006. As head technician, she oversees our entire team of veterinary technicians, while also providing quality care for our patients and valuable education for our clients. As Operating Manager, she oversees all staff and the day to day operations of the hospital. "I absolutely love every part of my job!" she says. "I have such a passion for my job and working with animals. Their care and comfort is my first priority as it is for all the staff." At home, Gina relishes being a mom - not only to her children, but also to her four pets. She has two dogs, a Shi Tzu named Gizzy and a Pekingese named Zoey, and two cats named Stumpie and Samuel. She enjoys gardening and camping with her family. 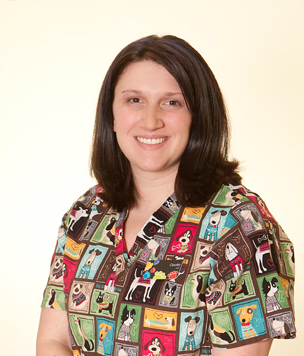 With 20+ years of experience, Shannon joined Corfu Veterinary Clinic in April of 2011. She has an Associate's Degree in Veterinary Technology and a Bachelor's in Business Administration. 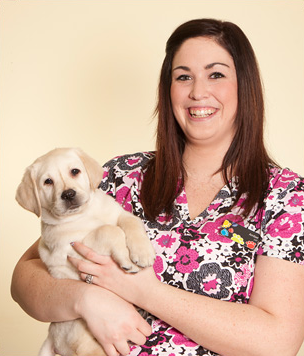 She is also the current Administrative Assistant for the Buffalo Academy of Veterinarian Medicine. "I love coming to work every day with such amazing people," she says. "It's so rewarding to be able to help so many pets." As inventory manager, she ensures the clinic has the most current and quality medications available for our patients. 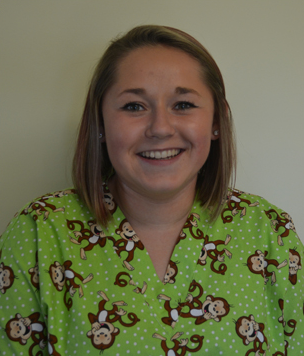 Shannon has a special interest in pet dentistry and patient care. She also regularly assists with surgery preparation and anesthesia monitoring, radiology, performing lab tests and collecting samples, triage, and client education and communication. When she's not working, two daughters, a yellow lab named Gus, and two cats named Tinkerbelle and Emma keep Shannon and her husband, Rick busy at home. 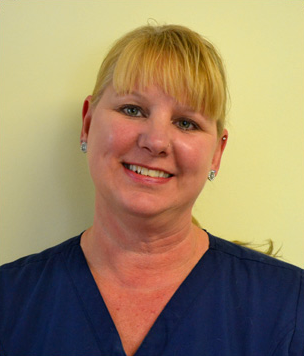 With over 35 years of experience in the veterinary field, Licensed Veterinary Technician Joyce joined our team in March of 2015. With her strong laboratory and cytology skills, Joyce most enjoys lab work and hematology. She also assists with patient care, surgical nursing, radiology, dentistry, client education, and anesthesia. "It's a fast-paced, busy veterinary clinic where as a vet tech you are utilizing all of your skills," she says. Outside of work, Joyce enjoys cooking, sewing, kayaking and bird watching. She has three cats, Max and Otto, and Wilby. Before earning her associate's degree, Amber Hassell became familiar with working in an animal hospital by serving as a kennel assistant and receptionist. She then joined the Corfu Veterinary Clinic team in December of 2013. "I believe coming to work every day should be something to smile about and that is what happens here," she says. "I enjoy making clients and our patients happy." Amber has a special interest in phlebotomy and client education. Her home is shared with two dogs (Oakley and Apollo), and a turtle named Norman. She and her husband enjoy watching their daughter participate in a variety of sports and like to spend as much time outdoors as possible with her children. 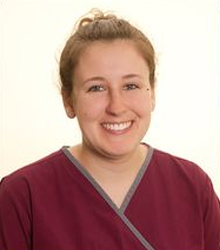 Since April of 2011, Licensed Veterinary Technician Lauren Young has been assisting with surgery, dentistry, nursing, and patient care at Corfu Veterinary Clinic. She has a bachelor's degree in Veterinary Technologies from Medaille College and a special interest in training and behavior. She shares her home with three Labrador Retrievers, a cocker spaniel, and four cats. She is a loving mother and enjoys hunting and gardening. 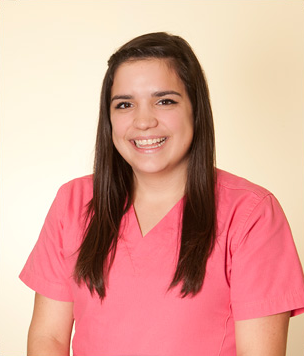 Claudia has an associate's degree in Veterinary Technology from Medaille College and joined our team in August of 2007. She has a special interest in surgery and is skilled at multi-tasking. "I truly enjoy the wonderful people I get to work with on a regular basis," she says. "They are my other family." Outside of work, Claudia enjoys baking, gardening, and spending time with her two sons and husband. Their family has a Siberian Husky, a Samoyed mix, and two cats. Before coming to Corfu Veterinary Clinic, Licensed Veterinary Technician Emily worked as a large animal technician for dairy cows and beef cows and sheep. She joined our team in December of 2013. Emily has a bachelor's degree in Veterinary Technology from Medaille College and is a member of the New York State Association of Veterinary Technicians. Her favorite part of the job is when she is able to advocate for patients and provide information to pet owners who have health concerns about their dogs and cats. At home, Emily has an American Staffordshire Terrier named Bruiser and a Lab Mix named Lola. She enjoys spending time with her family, farming, doing crafts, and shopping. Jen has been a licensed veterinary technician at Corfu Veterinary Clinic since June 2016. She earned her Associate degree in Veterinary Technology from Medaille College and is licensed in the state of New York. 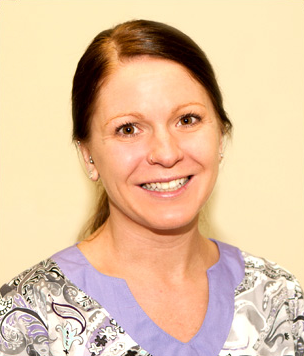 Jen's daily responsibilities include client education, laboratory work, assisting in the treatment of patients, radiology, dental cleanings and monitoring surgical patients. Jen cares for the pets as if they were her own and says her favorite part of the job "is being there for animals in any way possible." "I love how the owners of Corfu Veterinary Clinic think of everyone as family, and it shows by how great they treat their employees and how much they care about our clients and their pets," Jen says. At home, Jen has a 3-year-old American bulldog and pit bull mix named Diesel. In her free time, she enjoys hiking, kayaking, biking, snowmobiling, practicing yoga, going on adventures and exploring new places. Erin joined the medical team at Corfu Veteirnary Clinic in August 2016. She's been responsible for animals from a young age, helping with chores and lessons at a stable and working as a kennel assistant up until 2014. 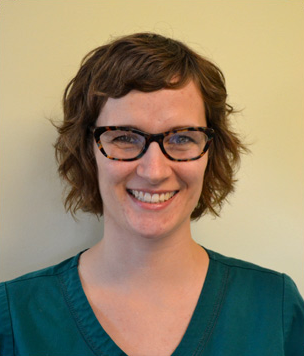 As a licensed veterinary technician, Erin is responsible for client education, admitting pets for surgery, collecting and analyzing patient specimens, administering medications and anesthesia, filling prescriptions and more. Her favorite part of the job is performing laboratory work, as well as surgical nursing. A licensed veterinary technician in the state of New York, Erin has years of experience in small animal emergency medicine. She earned her Associate degree in Applied Sciences with a concentration in Veterinary Technology from Alfred State College in 2015. Erin also holds a Bachelor of Science in Sound Recording Technology from State University of New York at Fredonia. "One of the reasons I love working at this clinic is the family-like environment," Erin says. "Every employee here is also extremely skilled at what they do, and they freely contribute their individual skills and expertise to everyone around them—it makes for an excellent workplace atmosphere. Everyone benefits: employees, clients, and most importantly, the pets!" Erin enjoys listening to music, crocheting, spending time with her family and hiking. She's currently on the lookout for her next rescue pup. Kristie joined the medical team at Corfu Veterinary Clinic in March 2015, and has been in the animal-care field for over six years. As a licensed veterinary technician, she is responsible for monitoring patients under anesthesia, drawing blood and obtaining patient histories. 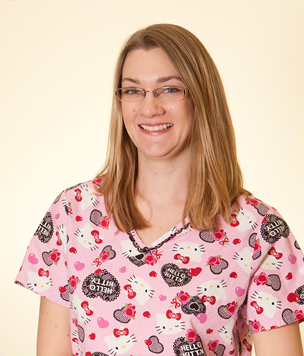 A self-described "hard worker," Kristie's favorite part of the job is assisting during surgery and dental cleanings. "I like working at Corfu Veterinary Clinic because it's fast paced and everyone who works here is wonderful and loves what they do," Kristie says. 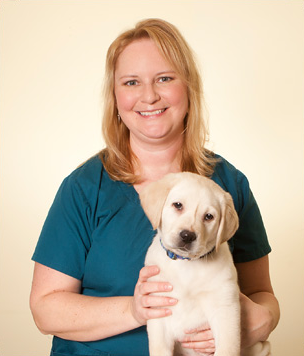 Kristie has an associate degree in veterinary technology and a bachelor's degree in biotechnology. She is licensed to practice veterinary technology in the state of New York. At home, Kristie has a dog named Meredith, three cats named Frankie, Olivia, and Tiger, a bearded dragon named Ryu and a crested gecko named Harley. Outside of the hospital, she enjoys kayaking, fishing, hunting, reading and gaming. 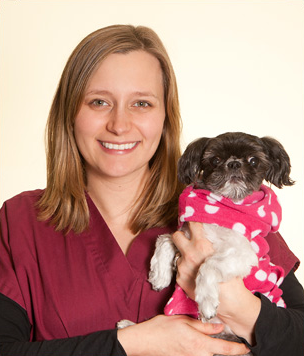 Veterinary technician Leah has an associate's degree from Medaille College, 13 years of experience in an animal-related field, and joined Corfu Veterinary Clinic in July of 2008. She assists with anesthesia monitoring, surgical procedures, taking x-rays,client education and dentistry. "Dr.Gardner is great to work for," she says. "We all work so well together and have so much fun. The clients we have are great people, too. They care so much for their animals." Leah's own animals include a cat named Bunny, a snake named Tarquin, and a guinea pig named Sunny. Her hobbies include fishing, camping, skiing and hunting with her family, as well as spending time with friends. 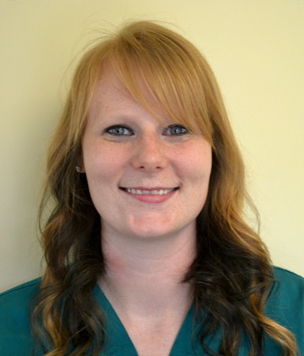 Veterinary technician Kristi joined Corfu Veterinary Clinic in February of 2016 and holds an associate's degree in Veterinary Technology. "I love my job because no day is the same,' she says. 'You are constantly seeing and learning new things. It's exciting to come to work every day." Nicole joined our team in June of 2017 as our part-time licensed veterinary technician. Her job responsibilities include drawing blood, monitoring surgery, anesthesia, and restraint. Her willingness to always help others, especially our clients and their pets, has added a brightness to our practice. At home, Nicole spends time with her three dogs – Nala (age 3 Beagle), Wendell (age 12 Pitbull mix), and Jack (age 12 Cattle Dog mix) – as well as two domestic short hair cats, Minnie and Bob. She also enjoys snowboarding, swimming, playing softball, hiking, jet skiing, and spending a lot of time outdoors. Of course, she also loves to play with her pets and spend time with her family.